Even if you’ve only just started exploring the world of fountain pens, this name should be easily recognizable. 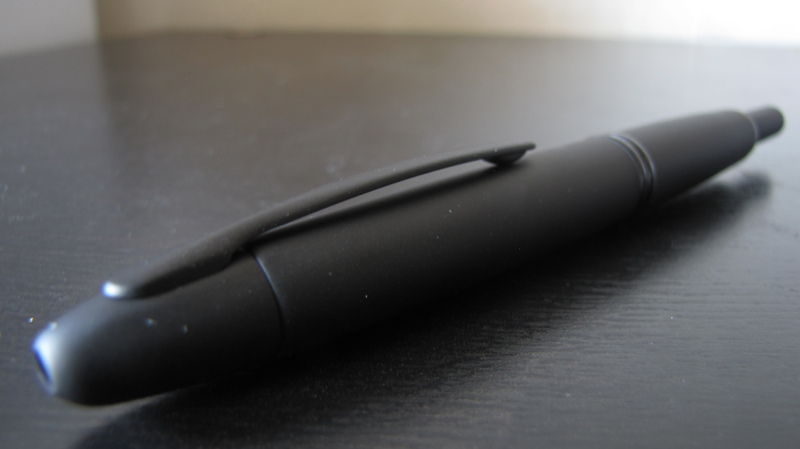 This is a very popular pen, and for good reason. 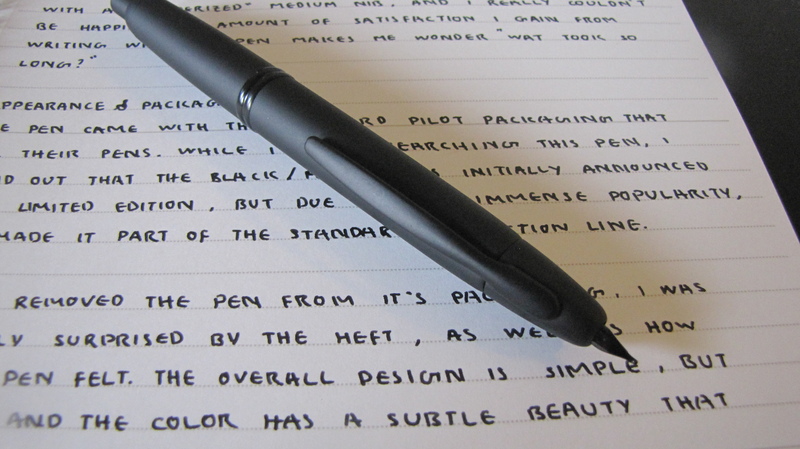 The Pilot Vanishing Point is marketed as an on the go writer, geared more towards utility than luxury. While utility remains it’s true purpose, this pen is still nothing short of absolutely beautiful. 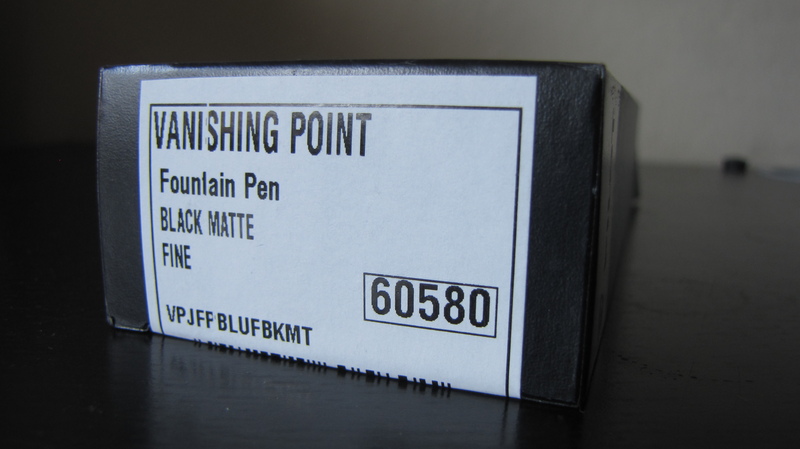 The specific pen that I will be reviewing is the Pilot Black Matte Vanishing Point. I don’t buy pens for their looks, but when it came to purchasing this one, I was stumped. Pilot came out with a wide variety of colors, everything from Blue Carbonesque to Metallic Green. The amount of choices I had seemed endless, and I had a difficult time finalizing the color. I chose this one, but don’t get me wrong, I am quickly learning that when it comes to the vanishing point, one may not be enough. Stealth/Blacked-out finishes really appeal to me aesthetically, as you will find out in upcoming posts. 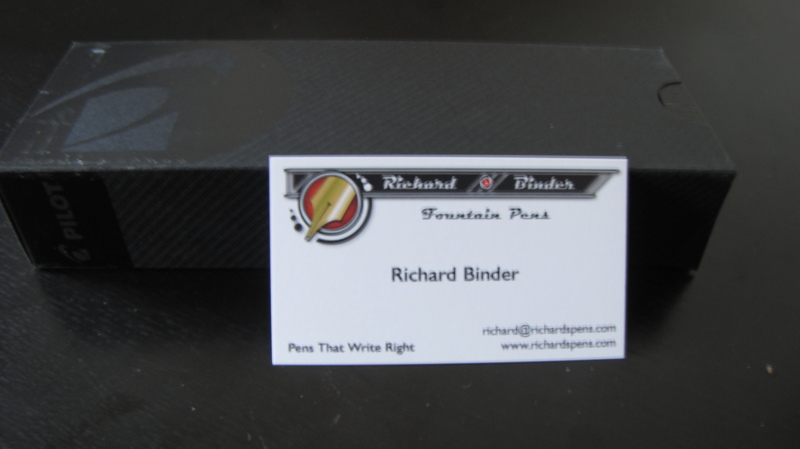 I purchased this pen from Richard Binder (no affiliation, heard great things about his nibs), and I’m happy to say that I have jumped on to the “binderized” bandwagon. This is the smoothest nib I have next to my Pendleton Lumi. The packaging of the matte black VP used to be very elaborate box, as it was actually a limited edition. Due to it’s success, Pilot made the pen part of the regular line, and since then it comes in the same standard packaging for all of their pens now. 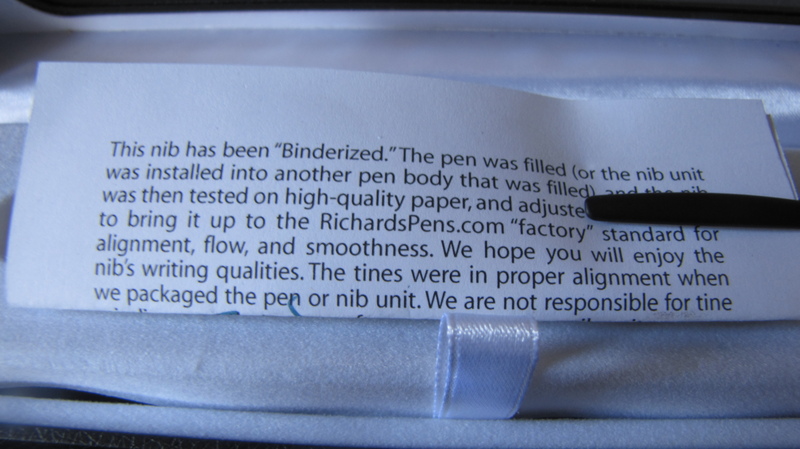 However, since the pen had to be opened to be “binderized”, I was checking to make sure everything was there, and it was. It came to me exactly as a new, untouched unit would, with the exception of the paper that informed me about the adjusted nib. Unmatched performance. 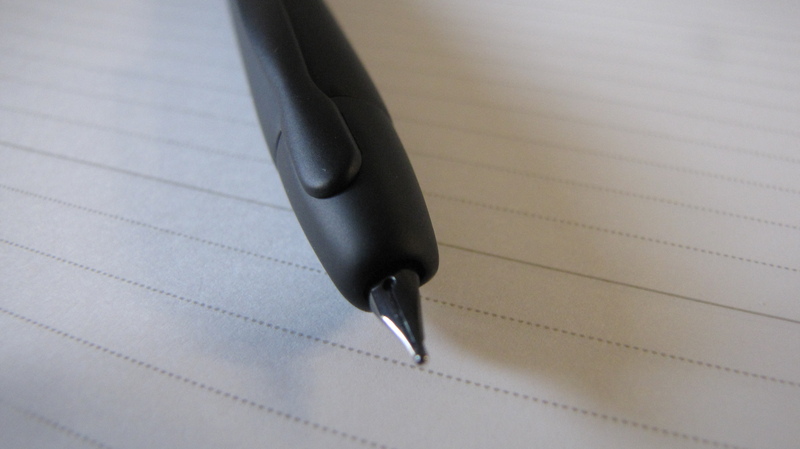 I’m sure you’ve heard those words all the time from TV commercials, sales representatives of high quality products, etc.,but when referring to this pen, or more specifically the nib, you truly understand the meaning of those words. Premium performance that you cannot be replicated easily, and comes with many years of experience and knowledge. This would be the perfect description of the “binderization” process all nibs from Richard Binder undergo. 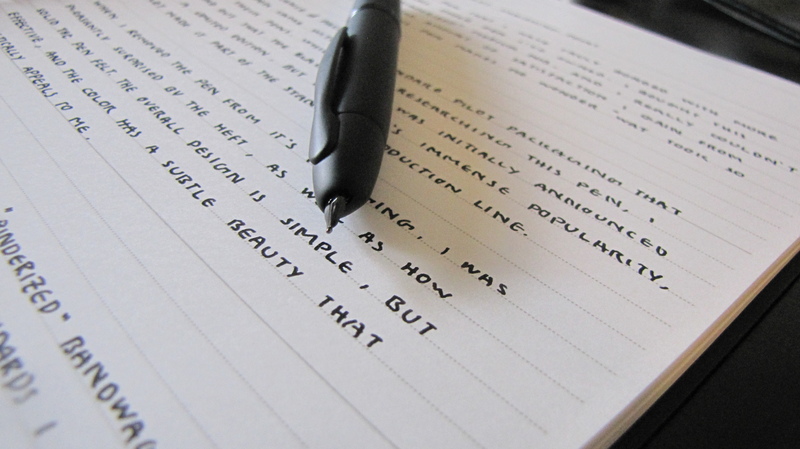 For me, this pen was love at first write. Note: Be careful when choosing the nib size, because the traditional conversion (Japanese M = Western F) doesn’t apply. This pen has serious nibbage, and writes more like a Western M.
Sorry for the slightly messy handwriting and spelling/grammatical errors. I think I was half asleep when I wrote this. 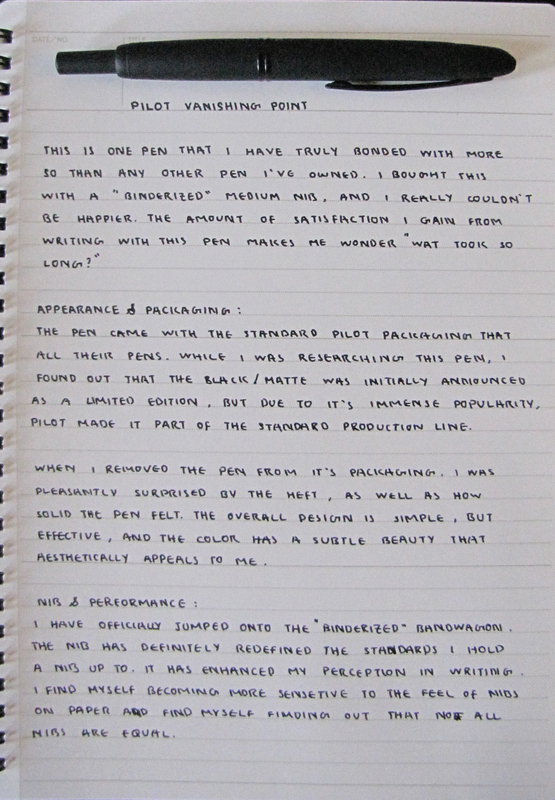 This has got to be one of the most well-designed, and functional pen I’ve used in a long time. It is a pleasure to write with, and overall a great EDC pen. It has officially earned a spot on my EDC list. I look forward to many years of using this pen.